Everyone knows the debt and spending of the United States is out of control. But how can we relate to billions and trillons of dollars that the Federal government spends? There are just too many zeros flying around. Below, the column to the right reflects the US government's finances while the numbers under the $50,000 reflect the budget shortfall and the accumulated debt in numbers equivalent to that of a household making $50,000. This shows that a typical household making $50,000 would be overspending by $27,765 on their credit card each year. It also shows that your total credit card debt, the cumulative overspending from past years would be $342,542 and your total liabilities including promises to pay others in the future would be over $2.5 million - A certain prospect for bankruptcy. Infant Baptism - This is just so not good. Baptism is a sign and seal and the Christian response to circumcision. 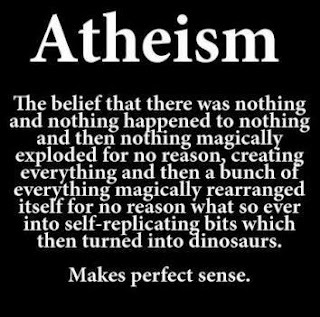 All of what the reformed faiths say about it is true until they get to infants. How could this not be an "essential" (worth fighting for)? This has been a question for years and many have struggled becoming members of churches that do this. Most of us are not greatest Christians. Many of us can be legalistic and self-righteous, but are we setting up lesser doctrines to feel more righteous about ourselves? Today's church urges us to feel more and to do more, but brushes one of the ten commandments aside (keeping Sunday's holy for example) for expediency and says that God's Holy Seal of his covenantial promise is nothing more than a membership card. Should we feel more love for God? Yes. But what is love if not following His commandments. He even says as much when Jesus summarizes them in Luke 10:27. So we follow nine and leave the one we don't like relegated to the old testament. Are we being petty? Should we feel bad for not participating in infant baptism ceremonies? Maybe. But don't most conservative Christians take seriously the ordination of women and even contemplate leaving a denomination in response of this and other deviant teachings? Those same Christians labor over what topics to teach in Sunday School and what our small groups are going to do for their next lesson plan, but why do we not labor over the big issues? Why are those of us who hold to these essentials thought to be overly emotional or too dogmatic when we tell our children that they must not do on Sunday what they do every other day of the week? We are alone even among the brethren and our Christian household. We are a minority in the Christian community. Can we bone-spit scripture when it is clear? Can we rationalize and side-step the big stuff and focus on the small? Big stuff: Sacraments. There are two. Why do we allow just anyone to partake of communion? Big stuff: Doctrine. The Gospel. Why do we not teach apologetics. Most do not know why they believe what they believe, but they have a good understanding on tips for a good marriage. Big stuff: Church discipline. What is that? Church members and kids are sleeping around and drinking. Divorce is rampant. Where is the discipline? Big stuff: Preaching. Look hard. This is still alive in many places. Let's get our priorities right. Let's not neglect the fight just to save the peace when we are talking about our very salvation and its sign and seal. This is too important. Perhaps we can let the color of the carpet fight go and focus on the big stuff. Nice article on the Reformed and Presbyterian view of infant baptism. Okay. Underwear reminds one of the silly jokes kids tell on the playground. It certainly does not belong in any serious adult conversation. Sorry, but let's lower our standards just a bit for a little while. It is an interesting conversation especially if one ponders the issues behind the choices of the candidates. First, let us review the different types of underwear, tops only. Pay special attention to the collars. President Obama has chosen the first of the three, a tank top. However, many call these "wifebeaters". Not a very nice term, but watch almost any episode of COPS and see that many of the low lifes wear these. Now here is the President. Now let us examine the choice of the Republican nominee. This is a bit more serious than the other because of the ideology behind the choice. Here it is. Take another look at our samples from the top. Does this match the tank? No. Does it match the crew. Absolutely not. Well does it match the V neck? Not quite. But what does it match? Oh. Here it is. A perfect match. Of course, Governor Romney's choice is on the left. But what store carries these odd looking garments? Not any store close to you. That is for certain. 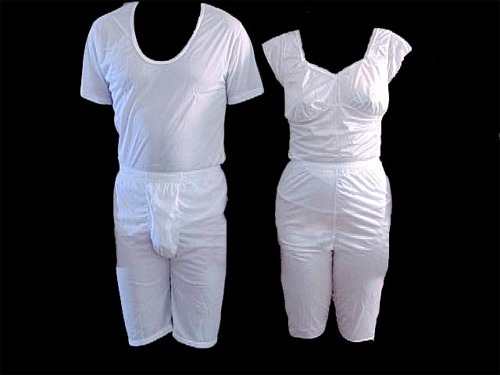 These are special Mormon underwear. Some even call them magic underwear. Some Mormons have attributed many special things to wearing them. Most in this religion are convinced that there is a type of duty to wearing them. Notice that our candidate has chosen to be among them. 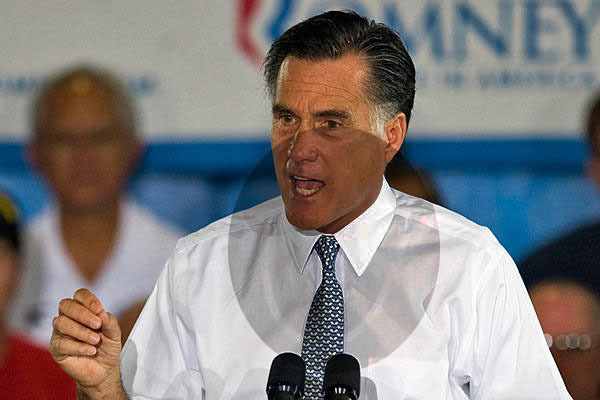 Should we not vote for Mr. Romney because of his choice in undergarments? 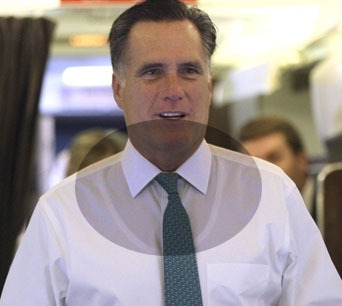 Probably not, but understand that Mr. Romney does not think like the rest of us. He believes in some pretty odd things - underwear is just one of them. The latest in a series of decisions shows the disdain the current administration has for US law. Now, American Indians can use bald eagle feathers. That does not seem so bad as long as they are not hunting them down and killing them. Perhaps they find them on the ground or in other locations. Not disturbing the eagles' nesting habits and disrupting their habitat is fairly reasonable. The problem is that having Bald Eagle feathers is against the law. President Obama's Justice department has set a new policy that they will not enforce that part of the law. They are, in essence, acting by fiat. Picking and choosing which laws are good and which ones are not so good. This is similar to the administration not enforcing immigration laws in Arizona or looking the other way when the New Black Panther party intimidated voters in 2008. The United States is a country with laws that are passed by the Congress to be enforced by whatever administration is in power. It is not their place to pick and choose which one to follow or enforce. This is a republic, not a monarchy. Makes no sense, but still funny.